I was truly surprised and very impressed with all aspects of this B&B . I was travelling by motor cycle and they made sure that my motorcycle was very secure and even offered to put it in their garage. When travelling through belgium again i would always choose to stay here. 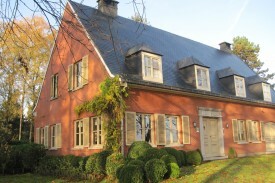 Haben Sie in Highfield House verblieben? Erzählen Sie uns hier was Sie davon hielten, und helfen Sie anderen, eine gute Wahl zu treffen! * Ich bestätige, dass ich in Highfield House verblieben habe. Sehen Sie andere bed & breakfasts in Waasmunster, alle bed & breakfasts in Waasland oder alle bed & breakfasts in Ostflandern.